- Who is eligible for the Pension benefit? - Understanding the special case of long term care medical costs. - Using the aid and attendance benefit to pay any person for care in the home. - Using aid and attendance for professional home care services. 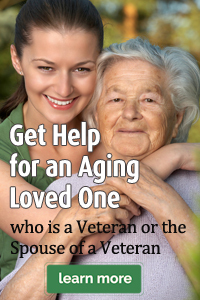 - Using the veterans aid and attendance pension to pay for assisted living. - Using the veterans aid and attendance pension to pay for a nursing home. - Understanding the application process for Pension. - Submitting a claim for the veterans Pension benefit. - When the family can submit a claim without help. - When the family should use an advocate or field service officer. - Health care benefits for veterans receiving pension. - Dovetailing Medicaid with the aid and attendance benefit.